Father in heaven, I ask you to be the builder of my house, my family, my life. Be the builder of Pine Cove too. I do not want to live for me, but want to live for you! Lord, our country is full of people who live for themselves and their own pleasures (including me Lord) and I pray that you would move mightily in the hearts of the people in this great land. Turn our attention from ourselves to you Oh God, to your desires for our life, to our one and only Savior Jesus Christ. We pray Oh God that you would be the object of our affection, have your way with us Oh God, we ask this in the powerful name of Jesus, amen. 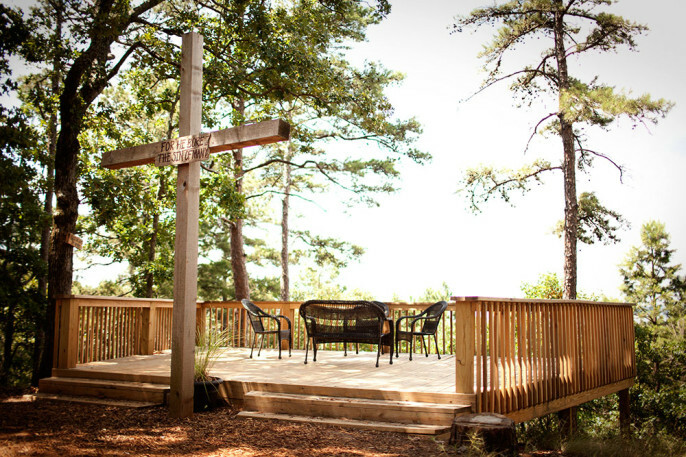 Yesterday was Pine Cove’s 47th opening day as summer 2014 officially began. The weather was beautiful as the summer staff lined the entrances of each camp to welcome all week 1 campers in typical Pine Cove fashion. 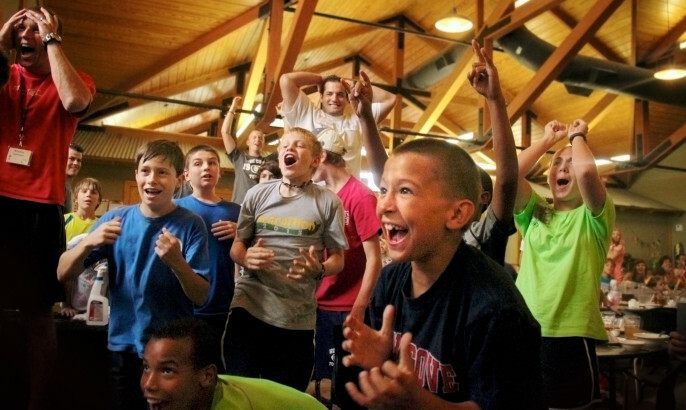 By God’s grace, we have the amazing privilege of serving close to 33,000 campers this summer at Pine Cove. Our prayer is that our campers hearts and minds will be open to hearing the gospel and that their life will be transformed for His glory! Every year, Pine Cove publishes a “Drive Time” CD for all parents to listen to on their drive back home after dropping off their kids at camp for the week. This year, on the CD, I encourage all to realize whose they are and perhaps more importantly who He is. In 1977, I was a junior at The University of Southern California. That year, by God’s grace I became a follower of Jesus Christ. On that day, Jesus became my Savior, my Lord and my life. The only problem was that I still did not fully grasp the meaning of that statement. As my Savior, Jesus paid it all. As the old song goes “He paid a debt he did not owe, I owed a debt I could not pay”. If I were honest, I would say for me, it was a little bit about going to heaven, and a little bit about not going to hell. Yet, the implications were vast but my mind was finite. Between 1977 and 1985, I began to do “Christian” things- I became active in a church and I began to study scripture. As I began to understand the Word better, about the same time, a man in our church took a bunch of young men and held a bible study. He began to share with us what it meant for Jesus to be our Savior and our Lord. He explained the Holy Spirit to us and he prayed in such a way that he would say things like “Lord have your way with me”. As I began to read scripture more and understand more, something began to really change in me. I was drawn to think about Jesus in a different light, and to really think through the implications of being a Christian. I spent time reading scripture through a new lens. Theology still mattered, worship still mattered, and the way I lived mattered. But now, the reason I was alive began to matter. In the early 1990’s, work was hard and Lynelle and I had three little kids running around our house. Life was tiresome. We began to have issues of margin in our family. When the going got tough, we wondered where we could buy back time as a family that we just seemed to never really find in our “every day” lives. Pine Cove Family Camp became an instrumental part of our life. Even though it was just a week during the summer, the time to think, reflect, grow, and rest was vital to our family. It finally hit me. Jesus is not only my Savior and Lord. He is much more and demands to be much more. He is my life. I was saved in 1977. It took my nearly 20 years to figure out the true meaning of the gospel and who HE is. As John 14:6 says, “I am the way, the truth, and the life. No one comes to the Father except through me”. The Lord used people and places to impact me along the way. He used my family, Pine Cove, but most of all, His gospel to impact my life in a REAL way. As we embark on another great summer of ministry, I pray that our staff and our campers come to the true realization that Jesus is our Savior, our Lord, AND our Life. Maybe the only thing holding you back from making that realization, like me… is you. As a high school student, I was not the best in my English classes. That struggle continued with me all the way into my freshman classes in college. My struggle has many elements. English was essentially my third language as I was raised speaking Dutch and grew up in a Spanish-speaking neighborhood in southern California. But enough of my excuses. What I do remember about all of my English classes, however, was the use of past tense, present tense and future tense. As I read through the book of Isaiah in the Old Testament, I am amazed by a past tense description of something extraordinary that was set to happen 700 years later. There are several statements in this entire passage that I believe need further contemplation. We, like sheep, have all gone astray; we have turned—every one—to his own way and the Lord has laid on Him the iniquity of us all. This, of course, is the reference to the fact that all of us have failed. You lie once, you have failed. You cheat once, you have failed. You are mean to your sibling, you have failed. If you do not honor your mom and dad, you have failed. It does not take big mistakes for us to go astray. We do not have to be a murderer or an idolater because one little mistake, or one seemingly innocent lie, created a problem between God the Father and us. That problem required a price to be paid to satisfy the judgment of God. None of us could solve that problem and so God made a way. That way was named Jesus. On Good Friday, He bore the shame, the nails, and the agony; the punishment we deserved was placed on Jesus. Then, on Sunday morning, Easter Sunday morning, He went from being a murdered possible Messiah to a murdered, RISEN, living Messiah! The tomb was empty and Jesus had defeated death. Isaiah 53 states, “Upon Him was the chastisement that brought us peace”. This is the reality of the gospel! Jesus was born a perfect man, lived a perfect life, died a perfect death and resurrected three days later. Upon Him the chastisement brought us…brought me and brought you… peace. “Therefore, since we have been justified by faith, we have peace with God through our Lord Jesus Christ”. Rejoice in his death and resurrection. Rejoice in the peace that is given because of His death and resurrection. Rejoice, for He has RISEN! At family camp, adults get to enjoy teaching on parenting, marriage, and the Christian life by excellent Christian speakers. One week, our speaker shared the concept of leaving your mother and father, cleaving to your spouse, and receiving them as a gift from God. The speaker shared the “power” of accepting this realization and the commitment to your spouse that is acknowledged by receiving them. At the end of this session, the speaker had all of the couples stand and go through a “receiving” ceremony. 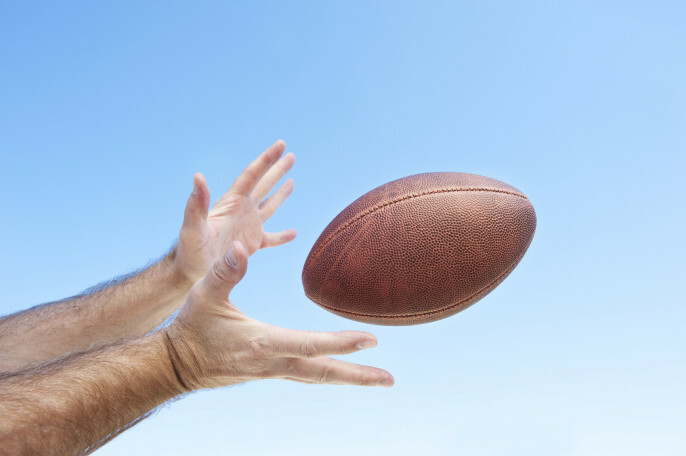 He used the example of catching a football. Follow the ball in, catch it, pull it close to your body and embrace it. All of the couples stood to their feet to go receive their spouse with one exception amongst them, Mr. and Mrs. Bailey (not their real names). The couple remained seated. We were all shocked. Nearly 30 years of marriage on the line. The other couples finished, there were tears and kisses shared… but not between the Baileys. Mrs. Bailey was heartbroken. She had hoped her husband would lead, but nothing. The week progressed and our staff prayed for all of our campers—especially the Baileys. On Friday nights, our campers share what they learned during the week and maybe a commitment they intend to make after leaving. During our camper share time, Mr. Bailey got up to speak. Have you received your spouse as God’s perfect provision for you? Today would be a good day to do so. The curriculum used by some of our speakers comes from the Weekend to Remember marriage conference by FamilyLife. This unique partnership between FamilyLife and Pine Cove has had an amazing impact on marriages. For biblical help on all things marriage, family, and relationship-related or for more information check out Family Life website.